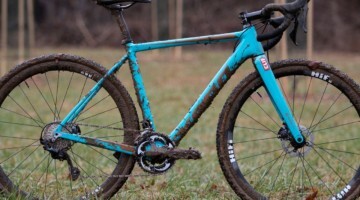 Challenge Tire’s long-awaited Limus cyclocross tubular, its mud-specific tire and answer to the Dugast Rhino, is in production and recent prototypes are already here in the States. After bringing you tread photos of the Limus from Interbike 2010, Cyclocross Magazinehas acquired photos of early versions of the new Challenge tubular that’s named after the Latin word for Mud. The Challenge Limus tubular center knobs look remarkably similar to the old Specialized Tricross. 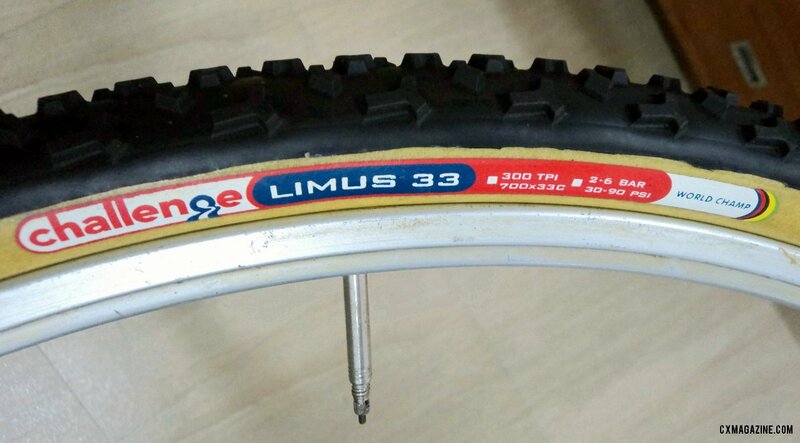 The first versions of the handmade Limus tire will be 33mm wide, and will only come in tubular form with the company’s 300tpi polyester casing. 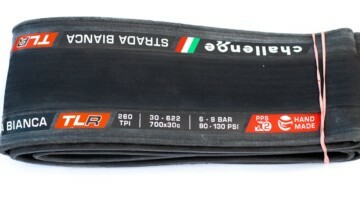 An open tubular version is expected to come in 2012. The tread blocks will be a tall 3.2mm, promising more bite than the shorter knobs found on the Fango and the Grifo. Weight is expected to be close to the Grifo, but we wouldn’t be surprised to see it slightly higher due to the larger and taller knobs. 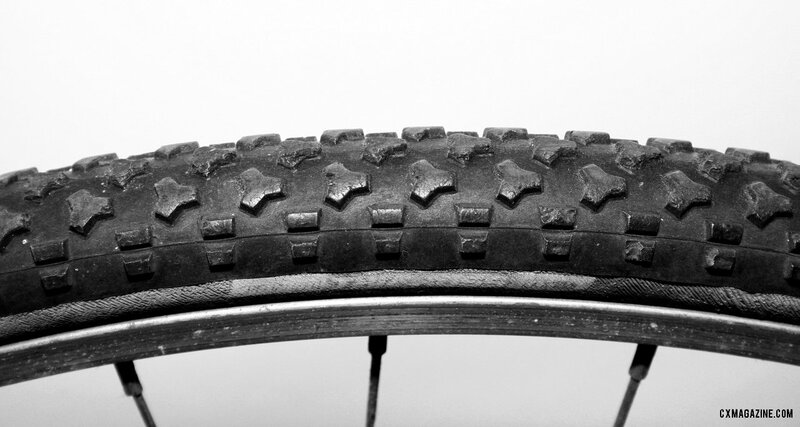 Our first impressions from the early prototypes are that the tread blocks draw inspiration from the original Specialized Tricross cyclocross clinchers from the early 1980’s. But you don’t have to go that far back to find similar treads, because with the exception of the Limus’ center row knobs, the tread is quite similar to the excellent Clement PDX Crusade clincher tire (reviewed in Issue 10), perhaps making it a decent race day tubular option for those who already train on the PDX. 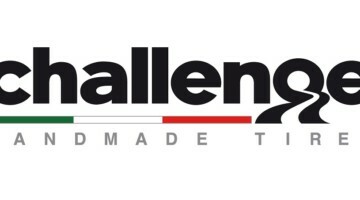 As to how the tire was named, Challenge Tires actually launched a contest to have the cyclocross community name the tire. Michael Koballa won the contest with his Latin submission, and the first production pair of tires will go to him as his prize. Cyclocross Magazine might be fortunate enough to be next in line for second pair. 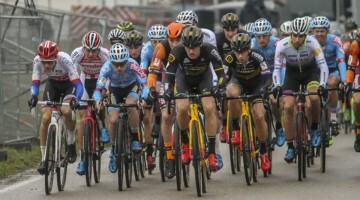 The Challenge Limus joins the Dugast Rhino and the Vittoria XM as mud-specific options for tubular-racing cyclocrossers. Stay tuned as we put an early production pair of the Limus tires to the test. Let's hope that the new tread pattern has the same speed as a dugast rhino on dryer days too and doesn't feel like riding . It’s awesome to have more choices. 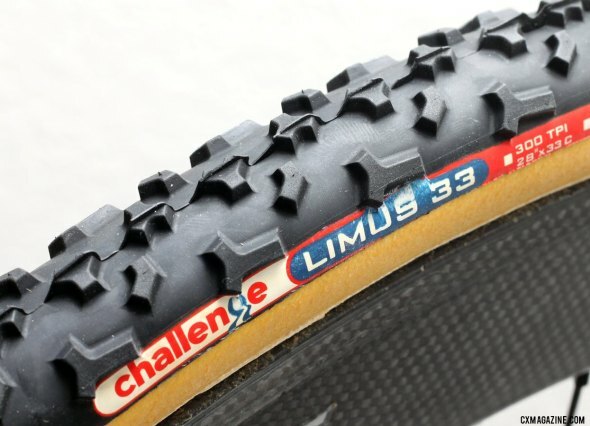 Some great new mud tires in the last year with schwalbe_na ‘s Rocket Ron and Clement’s PDX from @donnelysports, and now the @Challenge Limus on the tubular side. It’s awesome to have more choices. 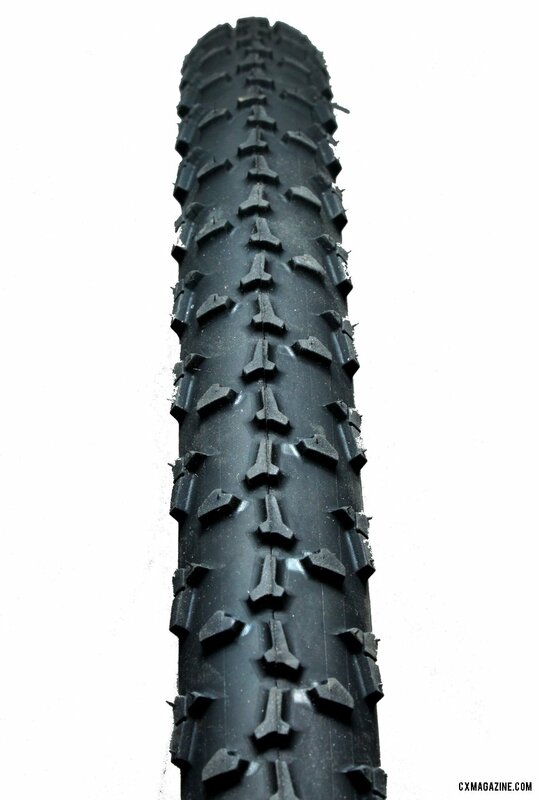 Some great new mud tires in the last year including schwalbe_na ‘s Rocket Ron and Clement’s PDX, and now the Challenge Limus on the tubular side. I wouldn’t mind seeing a narrower version of the Limus too. 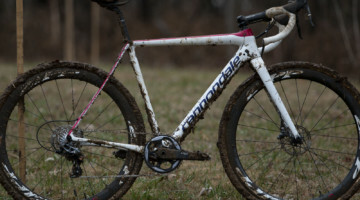 I’ve grown fond of a 30c for certain muddy conditions. Sadly, these still aren’t available. Bikeman estimated August earliest.